Manila is a great town to be a digital nomad in, there is very good internet connections available all around the city, as well as great cafes and bars you can easily work from throughout the day or night. As with any major metropolis there are also a healthy number of virtual office locations you can strike a deal with to set up basic corporate facilities to use if you need. If you are a freelancer in the IT industry then there is also a very strong demand in the Manila employment market for digital nomads of high calibre and experience, especially foreigners. If you are earning foreign currency like USD, AUD, EUR, GBP, JPY, or Korean Dong you will find the local prices far more favorable than living in your home country. However, Manila overall is the most expensive place in the Philippines to set up as a digital nomad. Best places to set up as a digital nomad in Manila include: (these ratings are compared to other locations in the Philippines). Want to set up as a Digitial Nomad in Fort Bonifacio and not sure where to start? Get in touch with us now and we can help you get settled. Well-placed in the business, restaurants, and shopping area of Manila city, Ascott Bonifacio Global City Manila provides a most conducive spot for you to take a break from your busy days. The hotel is not too far from the city center, just about 14 kilometers away, and it normally takes about 16 minutes to reach the airport. With its convenient location, the hotel offers easy access to the city’s must-see destinations. Ascott Bonifacio Global City Manila offers impeccable service and all the essential amenities to invigorate travelers. This hotel offers numerous on-site facilities to satisfy even the most discerning guest. All guest accommodations feature thoughtful amenities to ensure an unparalleled sense of comfort. Besides, the hotel’s host of recreational offerings ensures you have plenty to do during your stay. Whatever your purpose of visit, Ascott Bonifacio Global City Manila is an excellent choice for your stay in Manila. Overlooking the Makati Skyline and Manila Golf Club Enjoy a wonderful stay in this modern and elegantly designed 1BR Condo Offers complete amenities and is fully furnished. Nestled in the heart of Bonifacio Global City, Avant Apartments At The Fort is an ideal spot from which to discover Manila. Not to be confused with Avant Service Suites, the hotel lies 0.6km from the city center and provides accessibility to important town facilities. With its convenient location, the hotel offers easy access to the city’s must-see destinations. Avant Apartments At The Fort also offers many facilities to enrich your stay in Manila. Top features of the hotel include free Wi-Fi in all rooms, 24-hour security, private check in/check out, 24-hour front desk, express check-in/check-out. 4 rooms spread over 3 floors provide a warm and pleasant home away from home. Modern comforts such as internet access – wireless, internet access – wireless (complimentary), non smoking rooms, air conditioning, desk can be found in selected rooms. The hotel offers fantastic facilities, including fitness center, golf course (within 3 km), outdoor pool, garden, to help you unwind after an action-packed day in the city. Superb facilities and an excellent location make the Avant Apartments At The Fort the perfect base from which to enjoy your stay in Manila. Situated in Bonifacio Global City, The Loft Residences is the perfect place to experience Manila and its surroundings. The city center is merely 13.9 km away and the airport can be reached within 16 minutes. With its convenient location, the hotel offers easy access to the city’s must-see destinations. Take advantage of a wealth of unrivaled services and amenities at this Manila hotel. To name a few of the hotel’s facilities, there are free Wi-Fi in all rooms, 24-hour security, daily housekeeping, 24-hour front desk, luggage storage. The ambiance of The Loft Residences is reflected in every guestroom. television LCD/plasma screen, slippers, sofa, towels, internet access – wireless are just some of the facilities that can be found throughout the property. The hotel offers wonderful recreational facilities such as fitness center, outdoor pool, children’s playground, games room to make your stay truly unforgettable. When you are looking for comfortable and convenient accommodations in Manila, make The Loft Residences your home away from home. Set in Manila, 500 metres from Bonifacio High Street and 1.7 km from Power Plant Mall, Mckinley Park Residence in BGC by Stays PH offers free WiFi and air conditioning. The 1-star apartment is 2.3 km from Glorietta Mall. The apartment is equipped with a cable flat-screen TV and 1 bedroom. The accommodation is fitted with a kitchen. Century City is 2.5 km from the apartment, while Greenbelt Mall is 2.7 km away. The nearest airport is Manila Ninoy Aquino International Airport, 7 km from the property. Want to set up as a Digitial Nomad in Makati and not sure where to start? Get in touch with us now and we can help you get settled. Located in the lovely area of Makati, Makati Diamond Residences enjoys a commanding position in the shopping, nightlife, restaurants hub of Manila. From here, guests can enjoy easy access to all that the lively city has to offer. With its convenient location, the hotel offers easy access to the city’s must-see destinations. At Makati Diamond Residences, the excellent service and superior facilities make for an unforgettable stay. While lodging at this wonderful property, guests can enjoy free Wi-Fi in all rooms, 24-hour security, infirmary, portable wi-fi rental, postal service. All guest accommodations feature thoughtful amenities to ensure an unparalleled sense of comfort. Throughout the day you can enjoy the relaxing atmosphere of the fitness center, indoor pool, spa, massage, pool (kids). Superb facilities and an excellent location make the Makati Diamond Residences the perfect base from which to enjoy your stay in Manila. Staying in Manila for an extended period? Then consider this luxurious serviced apartment, the perfect home-away-from-home for families or business travelers. Ascott Makati is located near the city’s prime business district and has easy access to the attached mall as well as the many great restaurants, shops, and entertainment areas around town. For those who prefer to cook for themselves, full kitchen facilities are included in each room, as is a washer and dryer to keep your clothes clean and fresh. Executives on an overseas assignment will appreciate the wireless Internet zones, meeting rooms, serviced offices, and boardroom. Reservations at Ascott Makati are simple via our secure online booking form. Just enter your desired dates and submit. 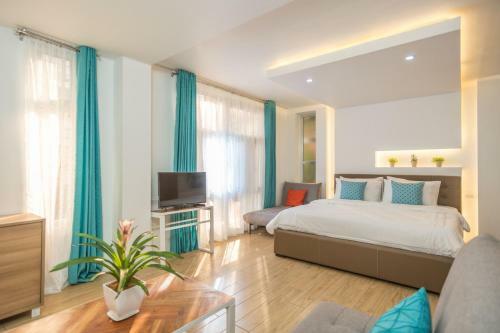 Stay in the heart of Makati City where you don’t just stay there to sleep, but to enjoy the amenities as well like the pool, game room, kids’ Playroom for toddlers, enjoy the recreation room by playing Foose ball and billiards with your travel companion! Might as well stay fit during vacation because you have a gym! Designed for both business and leisure travel, Lub D Philippines Makati is ideally situated in Makati, one of the city’s most popular locales. Set 1 km from the excitement of the city, this 2.5-star property commands an excellent location and provides access to the city’s biggest attractions. With its convenient location, the property offers easy access to the city’s must-see destinations. Step into one of 233 inviting rooms and escape the stresses of the day, A selection of amenities can be found in most rooms, including towels, locker, mirror, linens, internet access – wireless (complimentary). The property’s recreational facilities, which include billiards, games room are designed for escape and relaxation. Superb facilities and an excellent location make Lub D Philippines Makati the perfect base from which to enjoy your stay in Manila. Z Hostel offers the best hostel accommodation in the city, featuring 30 rooms with 128 beds. All of the rooms are air conditioned and fitted with en suite toilets and baths, and are complete with hot and cold shower and a bidet. Each room also features Wi-Fi internet access and towels for convenience. For exclusive dining experience, the property provides a world renowned Roofdeck Bar that has a great view of the city and a 24 hour Café. If you are backpacking in the Philippines or interested to meet a lot of like-minded individuals then Z Hostel is the place for you! The property provides a safe and fun place to stay with comfortable accommodation. It is located in the hip and multi-cultural street of Don Pedro in Barangay Poblacion. Z Hostel is a hot spot for amazing events every night from its local and International artists. 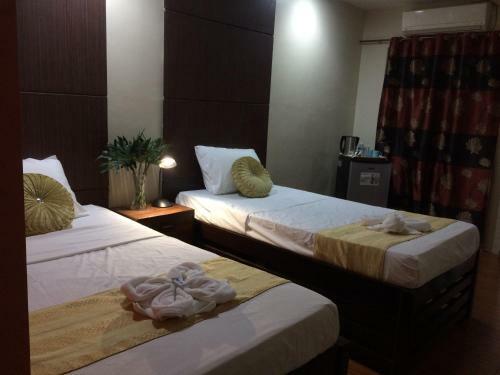 Makati Riverside Inn, located in Makati, Manila, is a popular choice for travelers. With its location just 9.3 km from the city center and 11 km from the airport, this 2-star hotel attracts numerous travelers each year. With its convenient location, the hotel offers easy access to the city’s must-see destinations. Take advantage of a wealth of unrivaled services and amenities at this Manila hotel. A selection of top-class facilities such as free Wi-Fi in all rooms, luggage storage, Wi-Fi in public areas, airport transfer, laundry service can be enjoyed at the hotel. All guest accommodations feature thoughtful amenities to ensure an unparalleled sense of comfort. The hotel offers an excellent variety of recreational facilities, including garden. Makati Riverside Inn is a smart choice for travelers to Manila, offering a relaxed and hassle-free stay every time. Want to set up as a Digitial Nomad in Pasay and not sure where to start? Get in touch with us now and we can help you get settled. Perfect place to relax, very comfortable and ideal for your most awaited peace of mind. few minutes from terminal 1, 2,4 and walking distance to terminal 3(Through Runaway Manila). Dining and Leisure at Resort World, Accessible to Wet Market at Metro Supermarket. Studio type condo unit fully furnish with queen size bed and one sofa bed(2 persons).provide with 4 bath towel, new bedsheet, pillowcase and flatsheet(kumot) and comforter Equipped with sofa set and 3-seater dining table With available fast internet connection, cable tv with port access Appliances such as ref,rice cooker, electric water heater, dining and kitchen wares and you can cook using the electric cooktop with an exhaust Have a relaxing shower with your choice of hot or cold water, soap, shampoo and tissue. 1 Bedroom Condominium located across NAIA Termina 3 where you’ll need a few hops away from Resorts World Hotel and Casino. The place is very accessible by private and public transportation (jeep, taxi, uber/grab). Ideal for fun and relaxation, Belmont Hotel Manila is located in the Pasay area of Manila. Only 12.2 km from the city center, the hotel’s strategic location ensures that guests can quickly and easily reach many local points of interest. With its convenient location, the hotel offers easy access to the city’s must-see destinations. Belmont Hotel Manila also offers many facilities to enrich your stay in Manila. 24-hour room service, free Wi-Fi in all rooms, 24-hour security, daily housekeeping, wheelchair accessible are just a few of the facilities that set Belmont Hotel Manila apart from other hotels in the city. Guests can choose from 480 rooms, all of which exude an atmosphere of total peace and harmony. The hotel’s fitness center, sauna, golf course (within 3 km), outdoor pool, pool (kids) are ideal places to relax and unwind after a busy day. Belmont Hotel Manila is an ideal place of stay for travelers seeking charm, comfort and convenience in Manila. Conveniently located in Manila, 6C Sarasota 4 Residential Resort is a great base from which to explore this vibrant city. From here, guests can enjoy easy access to all that the lively city has to offer. No less exceptional is the hotel’s easy access to the city’s myriad attractions and landmarks, such as Villamor Golf Club, Resorts World, Ninoy Aquino International Airport. The facilities and services provided by 6C Sarasota 4 Residential Resort ensure a pleasant stay for guests. Top features of the hotel include free Wi-Fi in all rooms, casino, room service, family room, coffee shop. Experience high quality room facilities during your stay here. Some rooms include television LCD/plasma screen, internet access – wireless (complimentary), non smoking rooms, air conditioning, heating, provided to help guests recharge after a long day. The hotel offers many unique recreational opportunities such as fitness center, golf course (within 3 km), outdoor pool, massage, pool (kids). 6C Sarasota 4 Residential Resort is a smart choice for travelers to Manila, offering a relaxed and hassle-free stay every time. When visiting Pasay City, you’ll feel right at home at RedDoorz near Pasay Taft as it offers quality accommodation and great service. From here, guests can make the most of all that the lively city has to offer. With its convenient location, the property offers easy access to the city’s must-see destinations. RedDoorz near Pasay Taft offers impeccable service and all the essential amenities to invigorate the weary traveler. Facilities like free Wi-Fi in all rooms, 24-hour front desk, room service, shared kitchen are readily available for the convenience of each guest. The property features 15 beautifully appointed guestrooms, many of which include internet access – wireless (complimentary), air conditioning, television, toiletries, shower. The property’s host of recreational offerings ensures you have plenty to do during your stay. RedDoorz near Pasay Taft is your one-stop destination for quality accommodation in Pasay City. 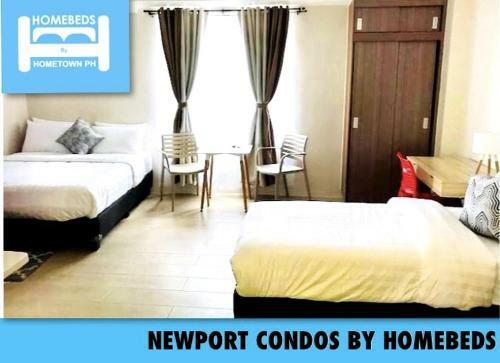 Conveniently located in Manila, 150 Newport by Homebeds is a great base from which to explore this vibrant city. From here, guests can make the most of all that the lively city has to offer. With its convenient location, the property offers easy access to the city’s must-see destinations. All guest accommodations feature thoughtful amenities to ensure an unparalleled sense of comfort. The property’s host of recreational offerings ensures you have plenty to do during your stay. Superb facilities and an excellent location make 150 Newport by Homebeds the perfect base from which to enjoy your stay in Manila. Want to set up as a Digitial Nomad in Mandaluyong and not sure where to start? Get in touch with us now and we can help you get settled. If what you’re looking for is a conveniently located hotel in Manila, look no further than BSA Twin Tower Ortigas. From here, guests can enjoy easy access to all that the lively city has to offer. For sightseeing options and local attractions, one need not look far as the hotel enjoys close proximity to Ortigas Financial Center, SM Megamall, Asian Development Bank. The facilities and services provided by BSA Twin Tower Ortigas ensure a pleasant stay for guests. This hotel offers numerous on-site facilities to satisfy even the most discerning guest. The hotel features 237 beautifully appointed guest rooms, many of which include television LCD/plasma screen, separate living room, internet access – wireless, internet access – wireless (complimentary), air conditioning. The hotel offers wonderful recreational facilities such as fitness center, golf course (within 3 km), outdoor pool, indoor pool, massage to make your stay truly unforgettable. With an ideal location and facilities to match, BSA Twin Tower Ortigas hits the spot in many ways. Situated in Mandaluyong, Shaw Residenza Suites is the perfect place to experience Manila and its surroundings. Situated only 9.2 Km from the city center, guests are well located to enjoy the town’s attractions and activities. With its convenient location, the hotel offers easy access to the city’s must-see destinations. At Shaw Residenza Suites, the excellent service and superior facilities make for an unforgettable stay. While lodging at this wonderful property, guests can enjoy free Wi-Fi in all rooms, 24-hour security, 24-hour front desk, luggage storage, Wi-Fi in public areas. Shaw Residenza Suites is home to 15 bedrooms. All are tastefully furnished and many even provide such comforts as television LCD/plasma screen, internet access – wireless, internet access – wireless (complimentary), non smoking rooms, air conditioning. The hotel offers fantastic facilities, including fitness center, sauna, golf course (within 3 km), outdoor pool, children’s playground, to help you unwind after an action-packed day in the city. When you are looking for comfortable and convenient accommodations in Manila, make Shaw Residenza Suites your home away from home. Want to set up as a Digitial Nomad in Alabang and not sure where to start? Get in touch with us now and we can help you get settled. Baguio is one of the Philippines most popular tourist locations purely because it is located in the mountain region of the Philippines with temperatures often dropping well below 10DegC at night, sometimes you might even need a heater at night and a jacket in the daytime! Baguio itsef is quite beautiful and if you are into yoga and serenity then you will really enjoy this place and the pace of life here. If you stay here and want to go to something more tropical then you can always get the coach to La Union on the coast which will take you about 1.5-2hrs. Clark is located about 90mins north of Manila by bus and is a sub location for many corporations, especially the BDO industry. There is also an international airport located in Clark which has direct flights to several international locations, as well as cheap domestic flights to quite a few domestic Philippine locations which makes it appealing to be a Digital Nomad for the simple fact that there is not much to do in Clark during the daytime, however at night the city and surrounding area really comes alive. So if you want to be in a more economically afforable location close to Manila but also want to travel around the Philippines and Asia at bargain prices then Clark would be a good choice for you to set up as a Digital Nomad. Want to set up as a Digitial Nomad in Clark and not sure where to start? Get in touch with us now and we can help you get settled. Designed for both business and leisure travel, this property is ideally situated in Fields, one of the city’s most popular locales. Set five kilometers from the excitement of the city, this 4-star hotel commands an excellent location and provides access to the city’s biggest attractions. The facilities and services provided by Fields Plaza Suites Condo-Hotel ensure a pleasant stay for guests. Guests of the hotel can enjoy on-site features like a car park, laundry service, safety deposit boxes, an elevator, and airport transfers. All guest accommodations feature thoughtful amenities to ensure an unparalleled sense of comfort. The hotel’s hot tub, massage treatments, and garden are ideal places to relax and unwind after a busy day. Superb facilities and an excellent location make Fields Plaza Suites Condo-Hotel the perfect base from which to enjoy your stay in Angeles. Situated in Malabanas, Rishan Village Residences is the perfect place to experience Angeles / Clark and its surroundings. From here, guests can enjoy easy access to all that the lively city has to offer. With its convenient location, the hotel offers easy access to the city’s must-see destinations. Rishan Village Residences offers impeccable service and all the essential amenities to invigorate travelers. Top features of the hotel include free Wi-Fi in all rooms, 24-hour security, kitchen, Wi-Fi in public areas, car park. Rishan Village Residences is home to 28 bedrooms. All are tastefully furnished and many even provide such comforts as towels, smoke detector, internet access – wireless, non smoking rooms, air conditioning. The hotel offers many unique recreational opportunities such as fitness center. When you are looking for comfortable and convenient accommodations in Angeles / Clark, make Rishan Village Residences your home away from home. Subic Bay is located about 2hrs bus trip north of Manila and about 1hr bus trip west of Clark, you can also get here by sea plane from Mall of Asia in under 1hr. If you are based in Clark and want to go to the beach then this is your closest option. Subic Bay is a medium sized town that mainly functions for the commercial and industrial port in the harbor. If you are looking for a sea side location close to Manila then Subic is a decent option to choose. There are a lot of affordable local resort options around subic, as well as 5 star locations. This area mainly caters towards foreign ex-pats from the American ex-military, as well as a lot of tourists from Manila in the peak summer time due to its proximity to Metro Manila. If you aren’t looking for a vibrant night life and are more interested in a quiet town on the sea side close to Manila then Subic is a good option for you. Want to set up as a Digitial Nomad in Subic Bay and not sure where to start? Get in touch with us now and we can help you get settled. 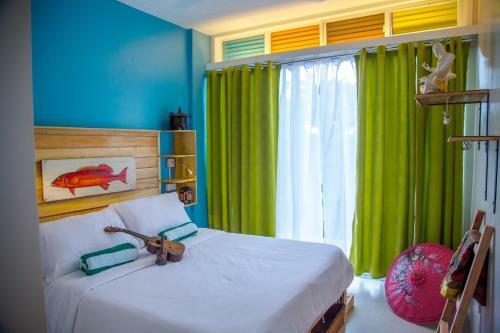 Offering quality accommodations in the sports, beaches, nightlife district of Subic (Zambales), Mangrove Resort Hotel is a popular pick for both business and leisure travelers. With its location just 8 km from the city center and 82 km from the airport, this 4-star hotel attracts numerous travelers each year. With its convenient location, the hotel offers easy access to the city’s must-see destinations. Offering hotel guests superior services and a broad range of amenities, Mangrove Resort Hotel is committed to ensuring that your stay is as comfortable as possible. Guests of the hotel can enjoy on-site features like free Wi-Fi in all rooms, 24-hour security, daily housekeeping, taxi service, 24-hour front desk. Mangrove Resort Hotel is home to 41 bedrooms. All are tastefully furnished and many even provide such comforts as television LCD/plasma screen, clothes rack, complimentary instant coffee, complimentary tea, linens. The hotel offers wonderful recreational facilities such as outdoor pool, pool (kids), water sports (motorized), water sports (non-motorized) to make your stay truly unforgettable. Mangrove Resort Hotel is a smart choice for travelers to Subic (Zambales), offering a relaxed and hassle-free stay every time. 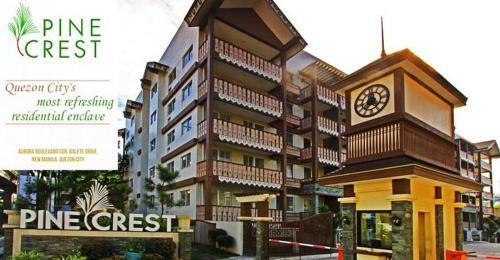 Situated within 3.5 km of Harbor Point, Mañana Hotel in Olongapo has a number of amenities including a garden. 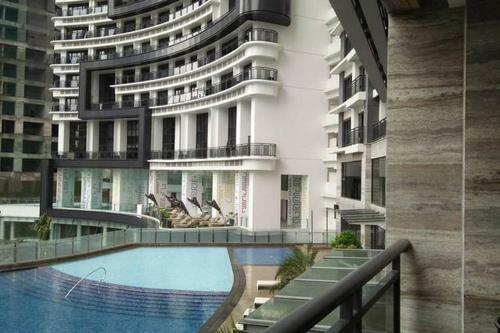 Built in 2014, the property is within 5 km of Subic Bay Convention Center. The accommodation offers a 24-hour front desk as well as free WiFi. All rooms at Mañana Hotel are equipped with a seating area and a flat-screen TV with cable channels. All rooms include a private bathroom and a shower, while some rooms have a terrace. All guest rooms will provide guests with a fridge. Subic Bay Airport is 6 km away.